The grocery store is changing; its heart is shrinking. 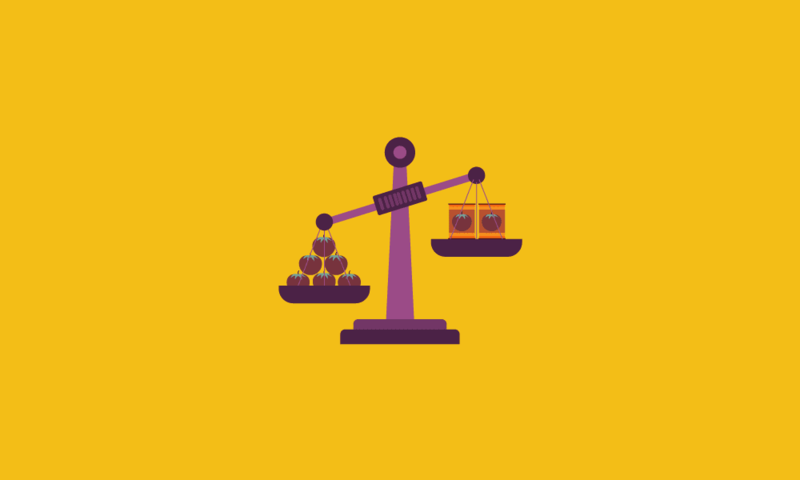 This doesn’t mean that grocers care less about what the consumers want – on the contrary! The heart of grocery stores – the center aisles filled with pre-packaged, shelf-stable goods – are getting smaller because consumers are buying more fresh foods, which are typically found at the outer edges of a store. We’re buying less, wasting less, paying more and we’re creating a shift that’s being felt across the entire food industry. This shift is coming due to the changing shopping habits of millennials and health-conscious shoppers. The millennial generation, otherwise known as Generation Y, were ages 18 to 35 in 2015 and now number around 75.4 million people in the United States (about 25% of the population). Though of course not everyone fits into the millennial mold, this segment of the population is typically environmentally conscious, socially aware and tech savvy. Many of them also started their professional lives during the recession, making them more likely to find ways to buy smart and waste less. That means millennials buy food differently than their parents (Generation X and Baby Boomers), which is disrupting the traditional grocery store model. Years ago, our parents and grandparents bought a lot of consumer packaged goods (CPG), and threw away upward of 50 percent of their food purchases. Because much of the food was in a box, canned or frozen, they would only need to visit a grocery store once a week or once every two weeks, resulting in larger bills for fewer shopping trips. Today’s consumers, including Generation Y, are still eating the same amount, but they’re buying fewer pre-packaged goods, eating fresher foods and throwing away less. Fresher foods typically must be consumed soon after purchase, so millennial shoppers may visit the grocery store two or three times a week to keep their refrigerators stocked, resulting in more frequent but smaller shopping bills. There are also more grocery shopping options than ever, causing grocery stores to compete with large retailers, the internet, grocery delivery services and farmers’ market. In short, over the course of a few years, the profitability model of the traditional grocery store has been flipped on its head. The end result is that revenue is shifting to the outer edges of the store, where all the fresh items are kept — produce, meats, dairy, the deli, the bakery. Those sections are growing, which is shrinking the center of the store, where the CPG — everything boxed, bagged, and canned — are kept. The problem is there’s less profit in the fresh sections than the center section. Other than the stockers, you don’t need people staffing the center aisles. You set boxes and cans on the shelves, and wait for them to sell. There’s less overhead, which means higher margins. But the outside areas are more expensive because they have to staff those areas — butchers to cut the meat, bakers to make the artisan breads, and produce managers to ensure everything is fresh, clean and looking good. There are also additional transportation, refrigeration and other handling costs associated with keeping fresher foods in stock. Stores now have to deal with more waste as the amount of unsold perishable food increases. Many of them donate food to homeless shelters and charities, but that only keeps the food out of the dumpster – it doesn’t cut costs. They also have to replenish their fresh stock more frequently, and better manage their supply chains to deliver more frequently, to keep product in stock. Grocers must work harder to keep today’s shoppers happy, but there is an upside: the millennials who are driving this shift are willing to pay more for their food than their parents would. Sure, they’ll buy less of it during each grocery trip, meaning smaller sales receipts per visit, but because they’re buying and eating fresher foods, they will also make more frequent visits to the store. And unlike generations before them, millennials will use more of what the buy and waste less of it – something that grocers will need to learn to do as well. Modern shopping trends have changed from what grocers were used to in the past. To meet the demands of today’s shoppers, grocers must speed up their supply chains to keep the fresh products consumers now demand, along with trying to minimize waste. This means the management systems also need to be faster, more real time, more able to spot and adapt to change. Cloud-based solutions, such as those offered by SPS Commerce, provide leading edge grocery supply chain technology that can provide the real-time data to augment your existing solutions and keep customers coming back to your stores. SPS Commerce has teamed with numerous food manufacturers and grocery retailers to boost efficiencies and meet the new needs of the modern consumer. 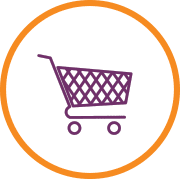 If you would like more information on how to partake in the grocery store revolution, please visit the SPS Commerce website and request more information or to speak with one of our representatives.